Julien and Cedric Regnier had their first outing on electric mountain bikes to reach snow banks which were still skiable above La Plagne. 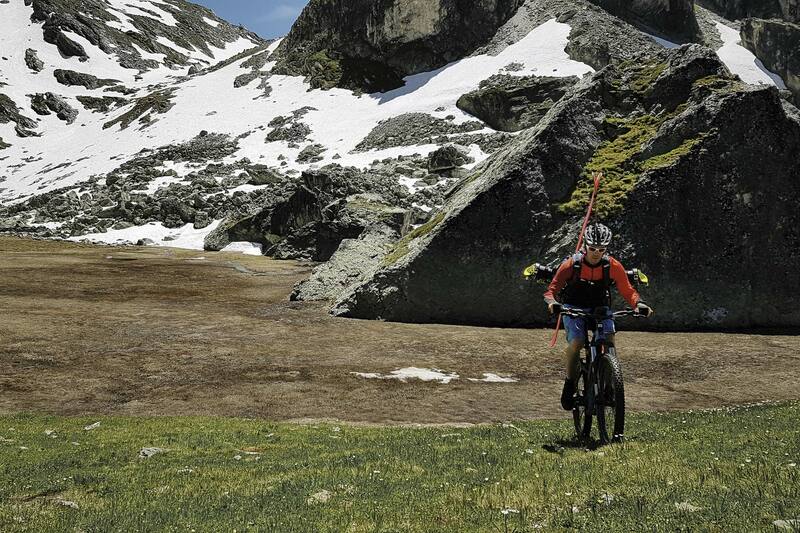 A cool experience which allowed them to combine mountain biking and ski touring. The brothers shot a short film and Julien replied to a few questions about an activity which augurs well for new end-of-season skiing options. Julien: With lots of snow in the mountains my brother and I decided we wanted to go and shred some snow banks. My brother has a hire shop so we took out two electric mountain bikes and strapped our skis to our backpacks. We set off from his shop in Plagne Bellecôte and headed for the Roche de Mio area. We climbed around 1000 metres during a really long ride and managed to reach the snow unknackered. It was a first for us both and we really enjoyed it. 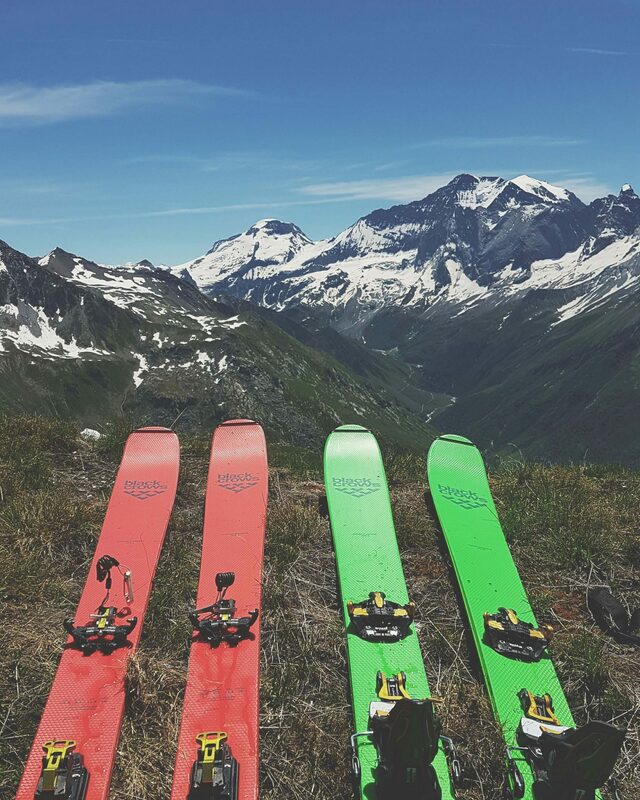 black crows: do you think you could be onto something with this combo of electric mountain biking and ski touring? Julien: Yes because it opens up possibilities for skiers who don’t necessarily have the lungs to combine regular biking and ski touring. 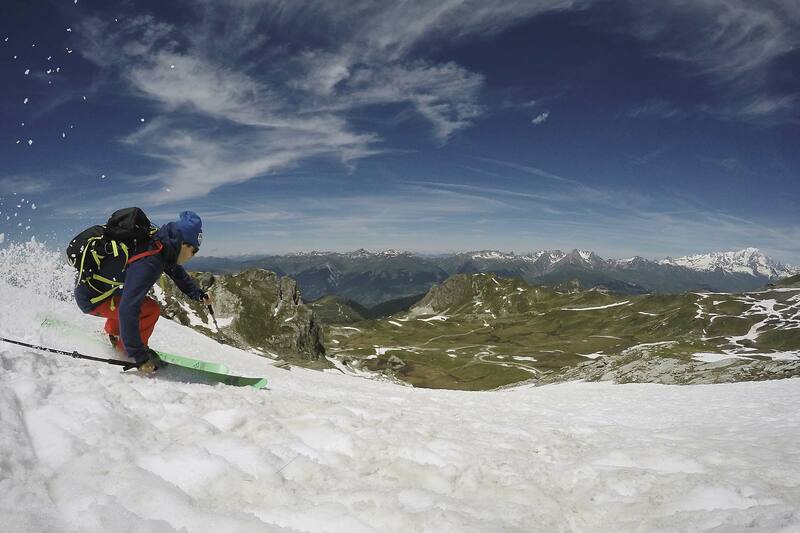 It wasn’t big skiing and it wasn’t big biking but it meant we could go ski touring in July and it was really cool. It’s a super cool way to check out the mountains. I would highly recommend it, it’s awesome. black crows: and the bikes aren’t too heavy? Julien: No they weigh less than 20kg and with the electric assistance you don’t feel like you’re driving a tank. You really do feel like you’re riding a mountain bike. You reach a nice speed straight away on the trails. You don’t waste time pedalling in vain and the climb is enjoyable. The batteries are well developed and hold power long enough for long outings. They work well for the descent too. We had enduro bikes, so they were less efficient than specific downhill bikes but still felt good. The battery in the middle doesn’t affect manoeuvrability and it rides really well. Julien: We can head into the mountains without the need for a 4WD (which are banned in La Plagne anyway), and it’s a good alternative. You can go anywhere with a bike. It’s a nice way to get to the snow at the end of the season or when there’s been a big dump after the lifts have closed. Instead of crying because there’s nothing open, you can bike up. Léo Taillefert did it on Brevent this year. I think he made it up there from Chamonix in 35 minutes (need to check), then he put his touring skis on. So it probably wouldn’t take long to get up to Grands-Montets. It’s a pretty good way to go on the hunt for snow at the end of the winter.